This is a common question from new site owners. In today's instant coffee world, everyone expects everything to happen instantly and getting your shiny new site into Google results is no exception. When the site isn't showing in the results after a few days, site owners often ask "why not?". To understand why, we first have to look at how Google works. The Google bot runs around sucking up content from websites it knows about. All this data is inserted into a very large database called the Google Index. Great you think, all I need is the Bot to troll my site and hey presto, I will appear in the results. Well, not exactly. Once you are in the index, Google takes a few weeks to check the site is going to be around for more than five minutes and to have the content scored for ranking results. This can take some time, sometimes up to nine weeks. Not always, but it can be that long. 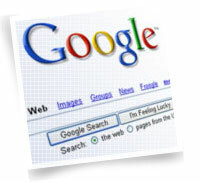 Google scores the content using their super secret algorithm and starts display the site content in Google results. 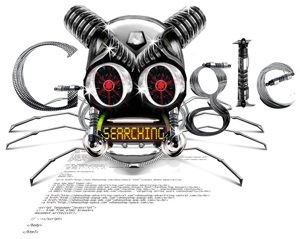 Another issue is Google bot doesnt always grab a whole site in one pass. Sometimes it just grabs the home page, a few sections and that's it. On the other hand, it comes back and picks up more as time progresses. Eventually all of your site will be part of the index. The speed at which Google will index all your internal pages will depend on different factors. If you have a very efficient internal links structure, pages get indexed faster. So in summary you can expect to start appearing in the search results between four and nine weeks after your site goes live.